In an intervention which violated the most fundamental rules of democracy and international law, on May 27 the hierarchy of the European Union (EU) vetoed the “government of change” which was being formed in Italy, and which had just won a clear parliamentary majority from the voters. Instead, the EU has imposed yet another technocratic government, which had been ready for months, led by “Mr. Spending Review,” Carlo Cottarelli, whose only plan is to cut the debt, and who has the support only of the Democratic Party, which lost the legislative elections of March 4. This is the most recent example of that “suspension of democracy,” demanded years ago by the EU, when it introduced the balanced budget as the only aim of each and every European government, as in the “market-conformed democracy” of Germany’s Angela Merkel. 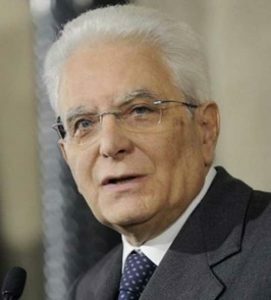 The most paradoxical aspects, which have no precedent in the history of the Italian Republic—a parliamentary Republic and not a Presidential one—are the reasons given by the President of the Republic, Sergio Mattarella (pictured), to explain why he vetoed Professor Paolo Savona, a renowned economist, former minister, and former head of the employers’ federation, Confindustria, as Finance Minister of the new government. Mattarella said he did this in order not to upset “foreign investors” who fear that Italy might leave the Euro. This, despite the fact that in the government program agreed to between the two victorious parties, the Lega and the Five-Star Party, and also in the statement of Professor Savona of last Sunday, there was no mention of leaving the Euro. Rather, they demanded a change from the failed policy of austerity, which provoked “poverty, reduced incomes and inequality” in Italy, in Professor Savona’s words. dictated the tasks of that government. 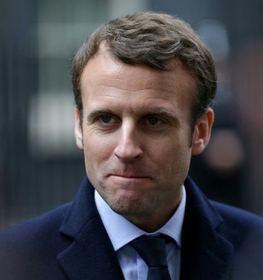 French President Macron also interfered, by calling up the new Premier, Giuseppe Conte, before he was received at the Quirinale Presidential Palace with his list of ministers, to ask him to remove Paolo Savona from that list. The next day Macron supported Mattarella in rejecting Savona. The question many are asking is: Why impose by force a technocratic government which will last not more than three months, since it does not have a majority in Parliament, and which, according to Democratic Party politician Massimo D’Alema, will increase the votes of the Lega-Five Star government coalition from 60% to 80%? Are financial markets so desperate to buy time, even if only three months? Thus, rather than the fear of an Italexit, what really freaked out the markets was the fact that the Salvini-Di Maio government had two points in its program which are dear to the LaRouche movement—reinstating Glass-Steagall, and national banking in order to issue credit for the real economy. 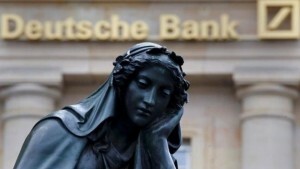 The present financial system is so rotten and so ready to explode, that it does not allow discussion of such issues, let alone their inclusion in the government program of an important country such as Italy, one of the founders of Europe. In order to keep this rotten system alive, previous Italian governments, from Monti to Gentiloni, have imposed draconian austerity measures. constitutional referendum, and now in the Italian elections of March 4. 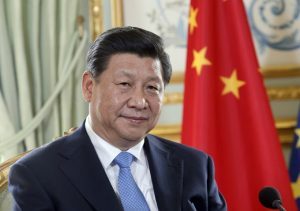 It also finds its expression in the fact that two thirds of the world has joined the Belt and Road Initiative of China’s President Xi Jinping, with its win-win policy of economic cooperation, as opposed to the geopolitical policy of confrontation with Russia and China leading to war. For the moment, they have managed to stop the government of change, which will be back again in a few months anyway, as Salvini said, but they cannot stop the New Paradigm, which is asserting itself all over the world. As to the “foreign investors” and their worries about our country, let me I repeat here what I have been repeating for years in interviews and articles: Markets should not be reassured–rather, they should be jailed, for provoking the suicide of two pensioners who lost all their savings in the banking crisis. For imposing the bail-in, which means the theft of our savings.